Early retirement is a dream of many people. Even for those that love their job, retiring early is something they hope to strive for. Unfortunately, many people are not able to enjoy an early retirement. In fact, research shows that the average retirement age in the United States is 63 years old. After retiring, the typical person only gets to enjoy their hard work for 18 years. It’s easy to see why early retirement is so attractive. Less time spent working, more time to enjoy retirement, and more time before health issues force you to slow down. Of course, attaining early retirement is much easier said than done. How can you achieve an early retirement? 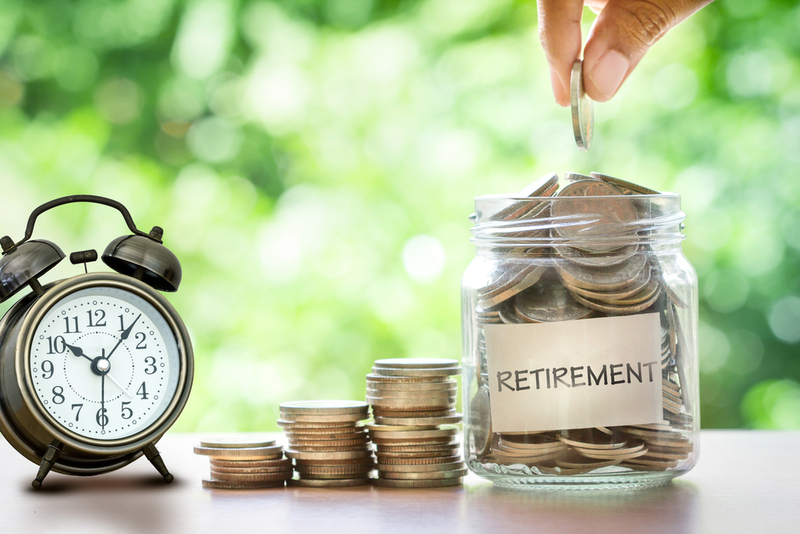 There are some important steps to take when retirement planning if you wish to start your golden years a little earlier than the average American. When people think of mortgage debt, credit card debt, and vehicle loan debt they often think of young people who are just building their lives. The truth is that many retirees carry debt right up until the end of their life. In fact, 73% of people pass away with debt. Not only can that leftover debt factor into estate disbursement, but those payments can put a great financial strain on a fixed retirement income. Eliminating debt before retirement gives you greater cash flow to do the things you love. Part of any retirement planning, especially for people who plan to retire early, is debt repayment. People who retire early need to pay down debt even faster because the longer they spend debt free the more money they can save for their extended retirement. What do you plan to do in retirement? Those golden years are different from person to person and what you plan to do can have a great effect on how much you need to save. For example, if you plan to travel Europe for 6 months of the year then you will need to have the funds to do that while someone who simply wants to sit by their backyard pool all day may not need as much cash flow to manage their lifestyle. One important part of retirement planning is investment withdrawal strategies. For early retirees, this strategy takes on even greater importance as they must stretch their savings for much longer. The 4% safe withdrawal rule is a good rule of thumb but may not apply to all situations. If you have clear goals for an early retirement then you would definitely benefit from professional planning to help you reach those goals. Tax commitments often go overlooked by people who retire early. This tax bill can be a shock for those who are unprepared and even force some people to go back to work, if only part-time. Planning and budgeting for taxes in early retirement are incredibly important to ensure that your early retirement is not soured or cut short by unexpected expenses. A tax planning strategy is needed for two reasons. First, you should be prepared for the taxes you will owe. Secondly, there are strategies to help reduce your tax burden during retirement. Tax planning should be an essential part of any retirement planning whether you are hoping to retire before 50 or a little later in life. Investing wisely is one of those pieces of advice that almost goes without saying, right? Of course, you don’t want to take your retirement fund to Vegas and put it all on black. However, do you know what investing wisely actually looks like for someone who wants to retire early? Good investment strategy changes as you enter various life stages. Young people can handle more risk and therefore can invest more aggressively in order to realize greater gains over the long term. People who retire early have unique needs. They need safe investments that don’t put their retirement at risk but also need to enjoy some gains to help continue growing their money as they begin drawing on savings. Downsizing in retirement is very common. It allows people to realize the gains in equity in their existing home while also reducing housing costs by taking on a smaller financial burden. Some people who retire early do not wish to downsize right away. In many cases, early retirees could still have children living at home or visiting during breaks at college. A smaller home may not be in the cards right away. Budgeting for home expenses is another essential part of retirement planning. Can you afford your existing home? If you choose to downsize, is there a maximum price that your budget can handle? What will you do with the sale proceeds of your existing home? All of these are important questions to answer when looking at housing in early retirement. Whether you are 20 years from an early retirement or just 5 years away, it’s never too early or too late to start retirement planning. Mooney Lyons has worked with countless clients as they work to their own unique retirement goals. In addition to standard retirement planning, we offer a complete approach to your entire financial wellbeing. Early retirement is a dream that many people hope to achieve but very few actually get to experience. If you have big dreams then you need a trusted partner on your side that is ready to help you realize the life you want. Contact us at Mooney Lyons today for a comprehensive retirement planning strategy that includes investment withdrawal strategies, tax planning, estate planning, and more.